reduces overall profile which facilitates comfort, speed and cadence. 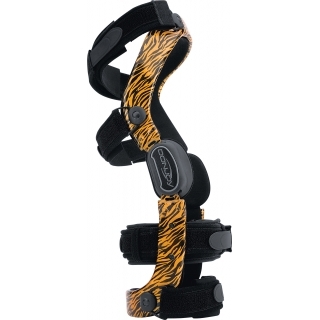 The Custom Defiance and Defiance III is DonJoy’s hallmark knee brace. 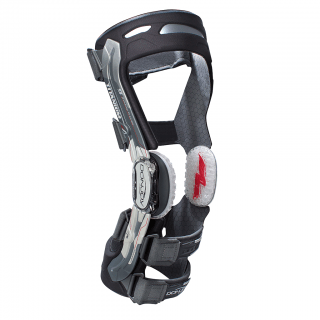 Combining the ultimate in technology, materials and design, this lightweight brace provides durable support for moderate to severe ACL, PCL, MCL and LCL instabilities. Plus, the low-profile design fits comfortably underneath clothing and sports uniforms, including hockey and football. As the strongest of DonJoy’s functional braces, the custom, carbon composite Defiance is recommended for high collision sports, while its featherweight materials and custom fit also make it the brace of choice for activities of daily living. Available in three lengths: standard, short and standard thigh with short calf. Females are 3-8 times more likely to sustain an ACL tear than males. In addition, over 70 percent of all ACL injuries occur during non-contact activities, such as cutting, jumping and twisting maneuvers. The DonJoy Female Fource addresses biomechanical factors that have been implicated in the high incidence of anterior cruciate ligament (ACL) tears in females. Females tend to perform cutting and landing maneuvers with their knees and hips in an extended and less protected position. 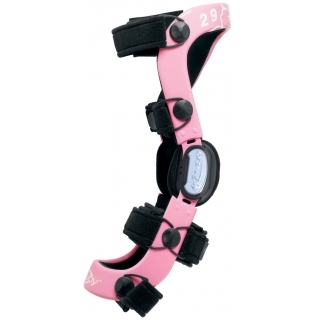 The Female Fource incorporates DJO’s FourcePoint hinge technology, which has been clinically demonstrated to increase knee flexion angles, limiting the time the knee spends in at-risk positions during activity; therefore, providing females the protection they need. 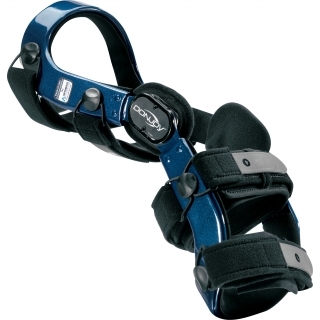 The DonJoy OA Defiance is a custom, double upright, knee osteoarthritis brace that offers a perfect fit and is ideally suited for patients with active lifestyles.